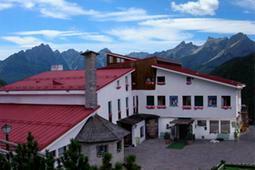 Come and visit us in June: from 07 to 10 June bring your desire to run in the heart of the Dolomites! 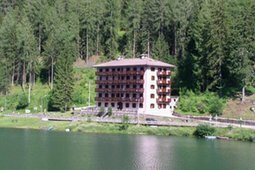 Biking trails in the Dolomites - Hotel Garni Civet "Bike Friendly"
We offer the best in e-bike tours to learn more about the Dolomites and learn, especially the 5 Torri, Passo Giau, Monte Fertazza, Croda da Lago, Marmolada., Arabba, Cortina - Toblach. 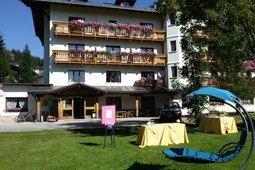 Offer: Manifestazione il 22 Giugno "Sellaronda Bike day "
Apartment for 2 plus 2 (children) recently renovated, all furnished with stunning view. A vacation without the car, on foot or by bike, among farms, goats and cows. A holiday between silence and tranquility. Immense opportunity to spend your holidays in a place where life goes by slowly and the rhythm is given by nature. We are waiting for you! See you soon! PROMOTION "BRING A FRIEND": introduce us to a friend, if he will book an apartment you will be entitled to a special 15% discount! Thanks to the presence of expert Alpine guides you can safely know the beauty of the mountains and the charm of the most famous peaks in the Dolomites! Have fun! We look forward to it! indoor garage - gratis! - Mototourism to cross the Dolomites and 12 passes on your motorbike :: wonderful views, the most beautiful and famous routes, part of the World Heritage ::: We are waiting for you! A series of itineraries that cross the areas included in the 2009 World Heritage and tastings of agro-food products in the huts, will give you a complete view of the Dolomites and will allow you full exploration of the magnificent scenery. Bio breakfast "with natural products at km" 0 "